Magento is a great opensource eCommerce package. If you have not heard of it, you should head to their site and check it out. In a recent project I was working through a transition from ASPdotnetstorefront over to Magento. During the process I wanted to move the Google Analytics over. 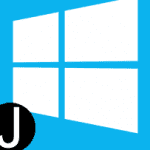 With great supprise I found that it is built into the software. 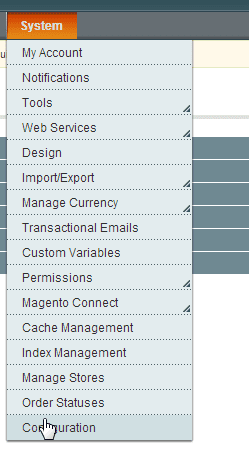 Way to go Magento. 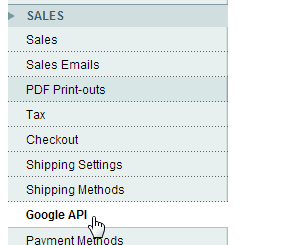 To add in your Google Analytics code to magento you only need your Google Analytics ID. It will look similar to this string starting with a UA ( UA-35255053-1). You will need to Enable this feature and add your code. This task to add analytics is pretty straightforward. Great work Magento. Look for some more posts on magento in the future. UPDATE – here is the official link and directions from magento.